Welcome to the April 2013 issue! The Cleaver is an on-line community newsletter, written/photographed/published by volunteer contributors who live in Bay St. Louis, on the Gulf Coast of Mississippi. We generally publish during first week of any given month, but our nifty new community calendar is always up to date (so you might want to bookmark it)! You can also check out archives from the menu above. Remember - you don't have to live in the Fourth Ward (or even in Bay St. Louis) to be part of our neighborhood! It's easy (and free!) to subscribe - simply send your name, address and e-mail to: mailinglist@bslfourthward.com! We guard your e-mail address with our lives and promise to only send you one notification each month when a new issue is posted. We love to hear your comments too! Click here for the comment form! Voting information on upcoming elections! Heirloom Tomatoes and Spring planting guide! Stella's BBQ Fest April 6th! Stella may have the "blues," but we're going to cheer her up! 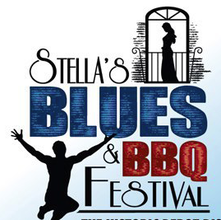 Saturday, April 6th, between noon and 9pm, the Silver Slipper Casino and the Bay St. Louis Little Theatre are partnering to present the 2nd Annual Stella's Blues & BBQ Festival in the Historic Depot District. Bay St. Louis's own Phil "Smooth" Williams and the House Katz will kick off the music at noon and play until 2pm. The wildly fun Stella Shouting contest takes place at the BSL Little Theatre just steps from the Depot Grounds from 2 - 3pm. Follow that with Grady Champion, who will perform from 4 - 6pm, while Rockin' Dopsie and the Zydeco Twisters will be playing on the Silver Slipper Stage from 7pm - 9pm. In addition, there's a BBQ Cooker competition with chefs vying for $5,000 in cash awards and trophies. Come hungry, because all day long, the fest is offering a coastwide Mississippi BBQ menu. Spring into Second Saturday Season! Saturday, April 13th, Old Town will be hosting a delightful spring Second Saturday Artwalk, with gallery openings, shop and restaurant specials, live music in the streets and refreshments offered by many merchants. Now in its TWENTIETH year (can you believe it? 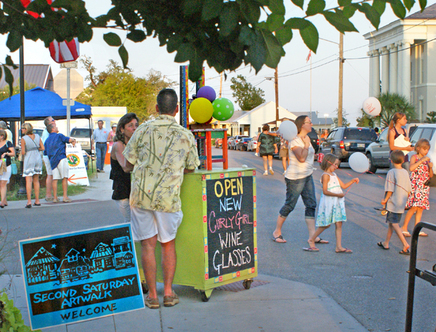 ), the Artwalk has become a regional family favorite. A wonderful way to stay connected with your neighbors and meet new folks too, since the event attracts people from New Orleans, Mobile and Jackson. 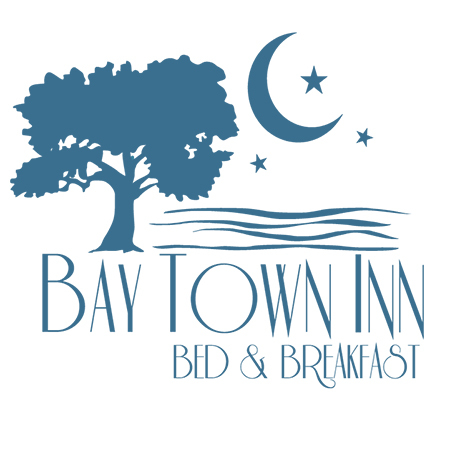 Hot Spots this month are Uptown Interiors (111 Main Street) and the Bay St. Louis Little Theatre (the theatre folks will be set up in Old Town for the evening, offering live music and season's tickets for sale!). Music at the Mockingbird (which is outside and starts early, making it a perfect place for families with kids to enjoy a live performance. 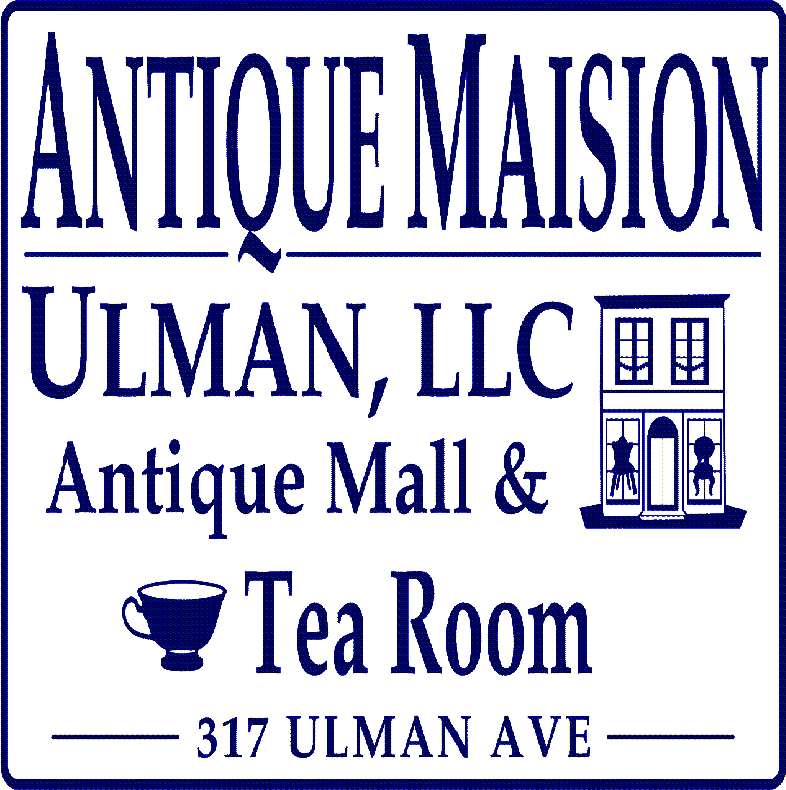 For more details and a list of Old Town merchants, go to the OTM website by clicking here! On Thursday, April 25 the 200 block of Main Street will be hosting “Morocco in Mississippi” a gala event that will bring the exotic land of Morocco to the streets of Old Town. The event will begin at noon with a Berber Market at French Potager and continue at 4 PM with cocktails, wine, music and art at Gallery 220. From 5 PM -7 PM Rochelle Harper and Boz will entertain with a live performance and at 5:30 PM, Starfish Cafe will begin serving a Moroccan meal. While admittance is free, there will be opportunities to contribute to the well being of your community as well; the event benefits Six Degrees Consortium and Starfish Cafe. For the full schedule of events and to read Lori's story about how this amazing project came into being, click here! Bay BridgeFest slated for October! Bay BridgeFest is moving to October and fans of the fest who hate to sweat have been applauding the change of date. 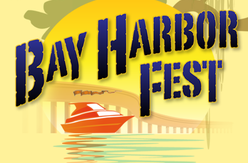 Stay tuned for more details, and bookmark the Bay BridgeFest website for updates as they become available. A new festival on Memorial Day weekend will be bringing top regional talent to Old Town on May 24th - 26th. So far the lineup includes Soul Project, Flow Trib, the Pin Stripe Brass Band, Camille Baudoin and Papa Mali, Sunpie Barnes and the Louisiana Sunspots, Alabama Slim and Little Freddie King, Dancing Man 504, and more. Click here for full info! Help us celebrate the centennial of Webb School by sharing YOUR memories!! We're Larry and Ellis Anderson Jaubert and our home is the "Old Webb School," in the heart of the Fourth Ward. It was built in 1913, so this year is its Centennial! We're planning an open house celebration in November and you can help! If you have special memories of this building or photos or Webb School memorabilia, send your name, email address and phone number to: ellisanderson@bellsouth.net. In June, you'll be invited to a "Heritage Harvesting" event at the school. It'll be a fun open house, where your special memories of the building will be recorded as part of the state's oral history. Any memorabilia or photographs you bring will be scanned while you're there (so you'll take the original home with you that day!). The idea is to gather as much history about the building from as many people as we can - including former students, teachers, city workers, volunteers, etc. The Webb School is only one of eleven buildings in all of Hancock County that bear the distinction of being an official Mississippi Landmark (others include the Courthouse and the Depot). Built in 1913 as an elementary school for grades 1- 4, the building later served Bay St. Louis as a community center and then as meeting place for non-profit organizations. In 2002, it became a private home, and a major restoration began. 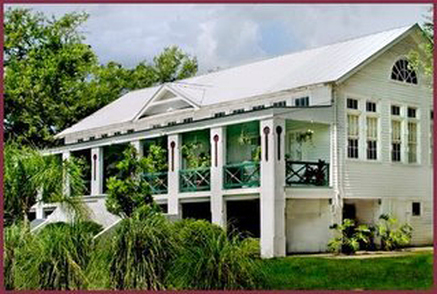 Although it sustained major damage in Hurricane Katrina, Webb School still provided a home to dozens of survivors and volunteers. We're hoping future generations will also enjoy learning about this landmark and its history in the community! We've all had it happen: We're enjoying a walk on a fine spring day and suddenly come upon a helpless baby bird. Oh dear! The poor defenseless thing is certain to be eaten by the neighbor's cat! Or freeze! Or starve to death! It's up to us to save it! What shall we do? 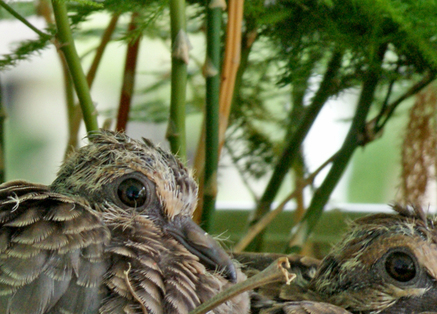 According to Alison Sharpe, director of the Wildlife Care and Rescue Center (WCRC), what's "rescue" to humans may seem like "bird-napping" to feathered parents. "Sometimes, leaving an animal alone is the best thing you can do," says Sharpe. "Most of the baby birds coming out of the nest need to be left alone. People cannot duplicate what Mother Nature does. Most times their parents are watching over them." They have tail feathers that are 1/2 inch or longer. The have feathers on their body. They're hopping around and bright-eyed. "If you take them then, you're essentially bird-napping," says Sharpe. Signs of distress? If the bird is dull eyed and sitting unmoving, puffed up. WCRC has recently opened an intake center for wildlife at Pet Haven in Bay St. Louis. If you find wounded or distressed wildlife of any kind, call Wildlife Care and Rescue at 228.668.2737 before taking any action. 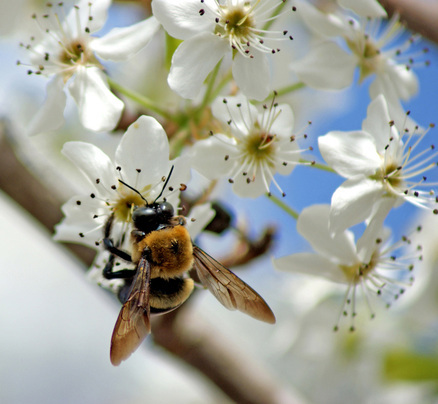 WCRC has been at this for over 20 years and are doing an amazing job, but need all the help they can get - especially during the busy spring season! You can donate to them securely on-line by clicking here. And you'll want to help after you see some of the amazing creatures they are helping. Click here for their Facebook page! One of my favorite things to grow is tomatoes as the store bought ones are a fry cry from the fresh. And I am really excited that my favorite tomatoes are planted in the bed of composted dirt and Country Girl cow manure. These tomatoes are the black heirloom varieties that include Ethiopian Black, which is actually a dark red-brown color with dark green streaks, not a stereotypical tomato of the red variety, such as Big Boy or Early Girl, but it is divine. In numerous taste tests in the midst of friends, family, neighbors, cousins, uncles, the Ethiopian wins the unanimously. Initial comments are typically on the order of, “Is it ripe, looks kind of green” and soon converts to this tomato were won. 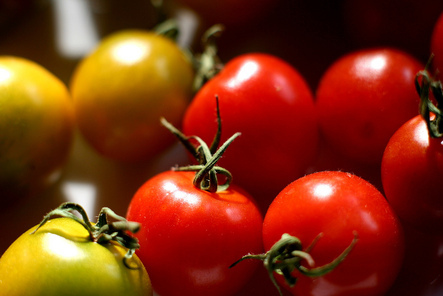 Click here to read more - and find out where you can get these exotic tomato plants locally! You'll also find easy Planting tips to make your garden BLOOM! BSLLT Board with the Governor's Award. 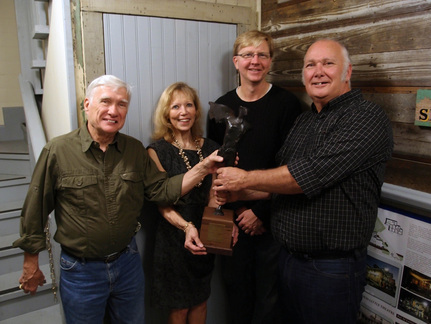 From L to R, Charles Dessommes, Cheryl Grace, John Anderson and Larry Clark. Not pictured, Richard O,Bryant and Kelly Everett. Recently, the Bay St. Louis Little Theatre was recipient of a Governor's Award for the Arts. The Awards are presented annually to outstanding writers, artists, performers, craftsmen and educators who have made significant and lasting contributions through their work as well as to corporations or organizations on the basis of their dedication to arts advancement. Bravo, BSLLT! BTW, the Theatre are one of the Hot Spots for April Second Saturday, so look for them on Main Street and pick up your season's tickets! 4th Ward National Merit Scholar! 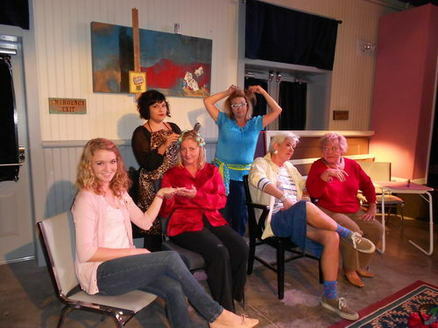 Sarah Anderson (front) starred in the hit "Steel Magnolias" at the Bay St. Louis Little Theatre in late 2012.
accomplishments, and take into account the Finalist's academic record, two sets of test scores, the high school official's written recommendation, information about the student's activities and leadership, and the Finalist's own essay. Anderson is planning to attend the Honors College at Ole Miss, where she will major in Biology or Chemistry. Her ultimate goal is to go to Medical School and practice Pediatric Oncology. Click here for our contact page, where we have a nifty comment box set up! We're now using names when we post comments unless you otherwise specify when you write. Hey, you Faithful Cleaver Readers, send story ideas too! Jaffe Perniciaro - EXCEPTIONAL Website & Newsletter! Outstanding job! 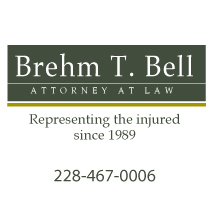 Thanks for doing such a terrific job on getting information out on the happenings going on in the area! Keep up the great work! Melinda Ward - Thank you for putting this out! I moved from the Bay in '83. I love being able to keep up. Ann McCutchan - Ever time I read it, I wish I lived there! Gail Nami - Just discovered this site through church. A very clever Cleaver. Keep up the good news, Bay Saint Louis. Jan Mitchell - Oh my !! I miss my store. Thanks for bringing back all those great memories. I hope one day someone in the family has the energy to bring it all back !!! 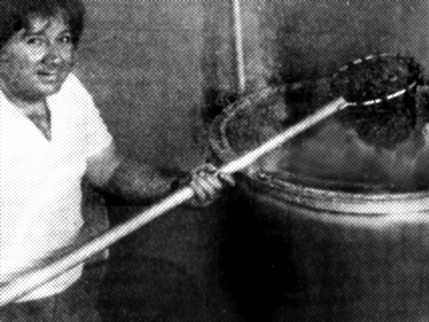 Several of you wrote in appreciation of Liz Maio's article about Peterman's Deli in Waveland - and everybody wanted her to write about the famous Peterman boiling pot. So she did! The next installment is in this issue! Julie Nelson - KUDOS to Martha Butler for her wonderful articles on just some of our wonderful artists! If one is highlighted each month we will never run out of people to write about, because as everyone knows Bay St. Louis is THE arts community on the Coast! One artist in the spotlight puts ALL Bay artists in the spotlight! Keep up the great work on behalf of all of us. Florence Fetterer - Thank you so very much. We have a house on Washington St, hope to spend more time there in the future (in Colorado now), and stay in touch, and as involved as possible, with the help of your site. I can't properly say how important your site is. Profiling Good Neighbors is a great idea - love to read about those who make the community what it is - wonderful. We've tried to assemble voting information to make it easy to vote in the upcoming Bay St. Louis elections. We do not guarantee the accuracy, but we have certainly given it our best effort!!! Click here for a complete PDF list that you can print out. 2. What ward do I live in? Click here for our map page - you'll be able to view full-screen or print! 2. Will there be a primary? There is no Republican primary this year. There IS a Democratic Primary and EVERYBODY - Republicans, Independents and Democrats - can and SHOULD - vote in it. It will be held on Tuesday, May 7th, 7am - 7pm. 3. What if I need to absentee vote for the Primary? Absentee voting for the Democratic Primary is available Monday through Friday at the Bay St. Louis CIty Hall, 688 Highway 90, 8am - 5pm. Absentee voting deadline FOR THE PRIMARY is Saturday, May 4th, 2013, noon (you'll be able to cast your absentee ballots from 8am til Noon that day). 4. Could there be a run-off after the primary? If there is, it will held two weeks after the primary election on Tuesday, May 21st. More information to follow if there is one. 5. Are there candidate forums where I can see candidates speak or ask questions? Yes. Two are being held specifically for BSL candidates. Ward 4 Christ Episcopal Church on Beach Blvd. Ward 5 American Legion Hall on Blue Meadow Rd. 5. When is the general election? Tuesday, June 4th, 7am - 7pm. Check back here soon for absentee voting info for general election. 6. I'm not registered. Is it too late? You may register to vote up to 30 days before any election - primary, run-off or general. 7. How do I register? Two ways for this BSL election. You can stop by City Hall, fill out the form and they'll file it with Hancock County for you as a courtesy. OR, click here. The link will take you to a page on the county's website where you can download the registration form. Simply fill it out and mail or hand deliver to the courthouse! We'll be posting more info as we receive it, so check back here often! I hope everyone had a Happy Easter and enjoyed time with family and friends. The evidence of spring is all around us with beautiful weather, flowers in bloom and with an occasional April shower. Enjoy the season! We have several projects under construction. I thought I would give you an update on the largest. The Harbor/Pier is currently being constructed with 163 slips, including 12 ADA accessible slips, sizes ranging from 35’ to 60’. The loading deck is 155’ long and 60’ wide with an ADA compliant wooden pier adjacent to the eastern side of the deck to facilitate ADA loading requirements. Rutherford Pier serves as the northern boundary of the harbor basin and will include a solid bulkhead wall connected to the north side of the pier to act as a breakwater structure and block sand from migrating into the basin. Pier length is approx. 1,100 linear feet. The structure includes 4 covered platforms and a 30’x50’ fishing platform with a 10’x20’ portion that is covered. The Parking Lot has 130 spaces available for boaters and Rutherford Pier visitors. Dredge material from the basin was used to expand the existing beach north of the pier from 150’ to 250’. Project Cost $21,120,124. Construction duration, 560 calendar days. Editor's note: Click here for pictures of the harbor's progress. Click here for Council Actions from our March Meetings. If anyone has any questions or suggestions, please email me or call 216-7197. I’ll be there for YOU. She couldn’t find any jobs in Mississippi, though. Because a friend was working in Washington D.C. and she wanted out of the South, Lu applied to the FBI. They invited her to pass a test for employment. She did and the first Sunday on the job she found herself assigned to the sabotage department, taking her turn at the new and innovative switchboard. To read the whole story about Fred's Pot, click here! 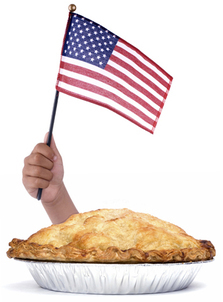 To read Liz's article about Peterman's Deli in the March issue, click here! Here I am, 73 years old and I’ve just found out what it’s like to get high - on running that is. When I say running, I don’t mean the typical running events such as 5K’s or marathons. I go for sprints which are short bursts of speed! My favorites are 50 meters, 100 meters, and the 200 meters. To put it in perspective, 100 meters is about the length of a football field and my best time so far is 15.21 seconds. I say “so far” because I am continuously striving to beat my times. 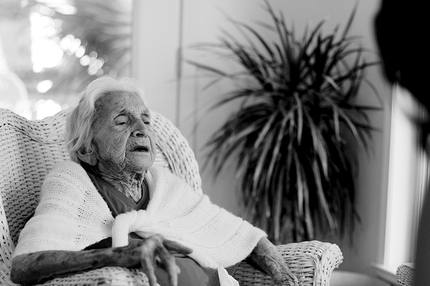 The Senior Olympics (Games) exist in every state, most offering activities such as card games, badminton, swimming, ballroom dancing and many others for persons over 50 years of age. There are group activities as well as individual events with district meets and state meets where you can qualify to go onto national events. 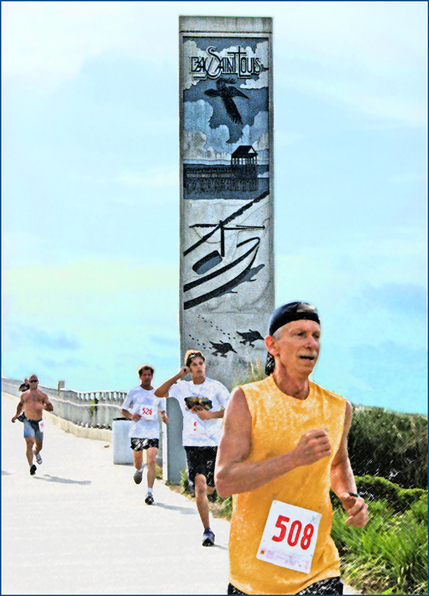 We have an excellent Senior Olympic district event taking place here the middle of this month in Gulfport and Biloxi. If interested, call 228: 547-8665 or go to Mississippi Gulf Coast Senior Games on the Internet. 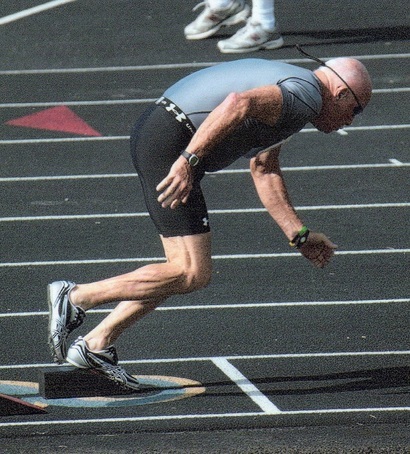 Click here to read about John's personal account about how athletic competition after age 60 changed his life! OK, maybe you are interested in resuming a sport that you had participated in years ago or perhaps you are intrigued with the idea of trying something new. One way to start is by checking out the website for the Mississippi Senior Games. There are activities to interest and challenge anyone. Decide on what you want to start with and talk to a friend or spouse who might want to join you. Don’t forget to check with your family doctor before engaging in any kind of extended physical activity. I think you will find that when you explain your planned activities to him or her, they will be very supportive of you. Click here to read all of John's pointers to get going! 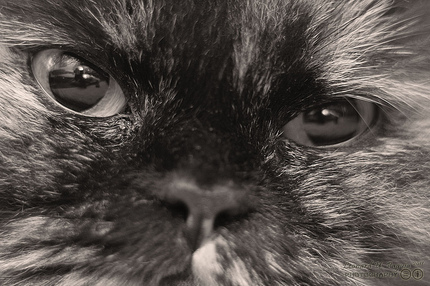 One of the most common myths I hear from the mouths of humans is this: cats are sooo... Click here to read Fedora's complete revelations. 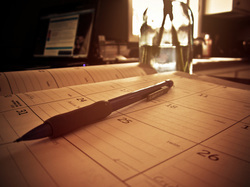 Our Calendar Whizard, Will Deal, researched, discovered and set up our nifty community events calendar over a year ago. He also spends lots of time each month maintaining it (Thanks,Will, we all appreciate it!!!). Now, to make it easier to submit your events, at the top of the calendar (right-hand side) on its menu bar is a "Suggest Events" button. Click, fill out the form and assuming your event fits our criteria, Will will list it for you. For free! Cool beans! 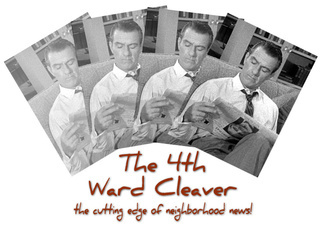 Perhaps of Interest: When the Cleaver crew loosely formed in late spring of 2011 and published the first issue in July 2011, we hoped to be a fun neighborhood service, with all volunteers and most readers being 4th Ward residents. Through comments we've gotten over the past year, it seems like we've become the on-line, off-beat, go-to place for what's happening in the Bay-Waveland area. We're averaging an astonishing 6,000 unique views a month, which doesn't count repeat visits. Word's getting out. So while we're not changing our name or original mission, we've expanded our coverage, and are also now accepting articles from folks in the entire Bay/Waveland area. 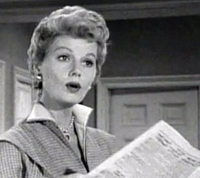 So watch for some fun new Cleaver contributors and columns in the future! Bobby Compretta, Will Deal, Fedora the Fabulous, Lori Gordon, John Impson, Larry and Ellis Anderson Jaubert, Liz Maio, Allen and Cathy Reed, Pat Saik.